When Switzerland and Germany join their industrial forces to make a gun, you know it will be great. And this is exactly how SIG Sauer came to be. And this time, they are changing the landscape of gun manufacture with the P250 once again. Namely, this is one of the first modular gun designs the world got to see. With this gun, you can change the grip you are using, the length of the slide and even the caliber of the weapon itself. Saying that the SIG series P250 is innovative doesn’t really do it justice. In truth, this gun is one of those pieces that have the potential to revolutionize the industry. We can guarantee you will like this gun. It is one of the best home-defender guns you can get. We have to say; this gun is not a toy. Sure, it can be an excellent recreational pistol, but everything about its design gears towards self-defense. To put it bluntly, this is a combat pistol that can save your life if you are ever in a situation that you have to use it. This gun has no safeties you would have to think about in a stressful situation. It shows no grip safeties or confusing levers that can stop you. You can just pick it up and fire it. The main feature this gun boasts is the modular design with the steel frame control unit as its primary module. The frame unit consists of the typical group of the trigger, hammer system, ejector, slide release (ambidextrous), and four slide rails. That means that this gun offers a lot of customization options. 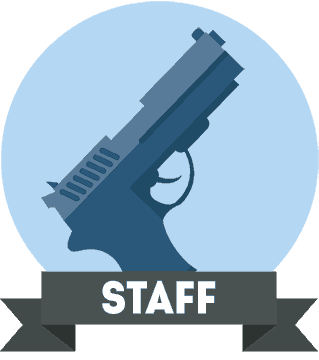 The user of this gun will have the ability to use the module with a variety of different parts. You can use slides with different sizes, or top-of-the-line polymer grips. You can even change the chambering system to a degree. And, since you can disassemble this gun without a single piece of tool, that means you can actually change the caliber of your weapon in the field. 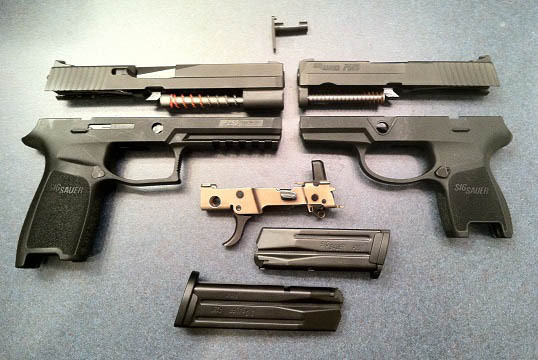 SIG offers the X-Change kits that have everything you need to pick and choose your caliber. You can easily exchange models in .357 or .40 in a matter of moments. You can also choose the slide size between full, compact and subcompact. The design of P250 allows the user to use either hand comfortably. That is mostly thanks to the slide catch lever and the magazine catch that can both be used with either hand. In fact, upon testing, we found that every control can be used from either side comfortably. 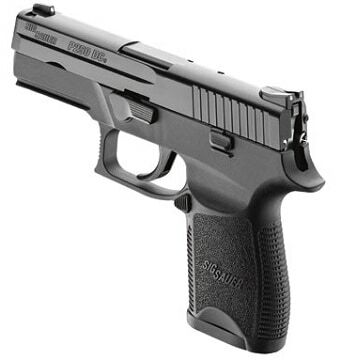 The subcompact variant of this gun is similar to the P228 or the P225. The size is perfect to hold it in your belt holster. However, it is a bit thick, which means that it is not perfect for concealed carry. And, when it comes to the weight of it, the slide size doesn’t really change a lot. However, the full-size slide provides you with a 6.6 inches slide radius. This is basically a 25-ounce pistol even with the magazine. And that is an excellent weight for a 9mm handgun. It is lighter than the SIG 229 by astonishing 7 ounces. Which definitely factors in during a combat situation. If you are about to buy a handgun, the first and foremost factor you want to know more about is the accuracy. And, for a good reason, all the bells and whistles will not make up for a bad shot. Thankfully, SIG P250 is definitely among the most accurate handguns we have seen. You can’t honestly talk about the precision of a gun without going to the range and shooting from it. And, even then, you should fire at least a hundred rounds before commenting. Thankfully, SIG has a powerful following, and this gun has gone through a lot of testing. 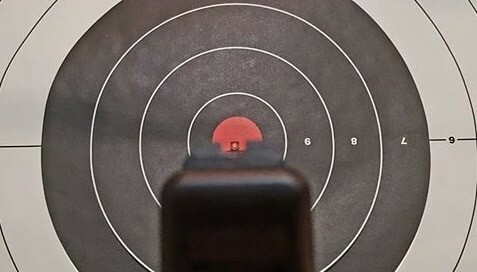 Namely, a really good shooter should be able to group your shots in a 2-inch area. However, there is a reason some people dislike shooting from this gun. It is a double action pistol, which means that you have to know how to operate the trigger correctly. And, truthfully, mastering trigger control is not difficult at all. It just takes a little practice on the shooting range. You will be able to drive a nail in a piece of wood from 20 yards in no time. In fact, we have seen people improve drastically and group within 3 inches after a single lesson on the double action trigger. Now that we know how accurate this gun can be, we should talk a bit about how powerful it is. But, with a modular model, it’s not as simple, after all, you can choose the caliber and the type of bullet you want to use with this gun. So, let’s focus on the round count instead. In the full size, you can pack up to 20 9mm bullets in this gun. The compact version packs 16 bullets (with the one in the chamber) while the subcompact one takes in 12. Now, we did recommend practicing with this gun. And, if you are a fan of .45 ACP, you know how expensive it can get. So, this is another point where the interchangeability kicks in. You can swap it to 9mm for the training course, and back to .45 ACP for the situation where you need that firepower to take down bad guys. Now, it’s the time to talk about the ergonomics. The first thing we should mention is their double action only trigger. The trigger is incredibly light and smooth. In fact, when it comes to double action triggers, it is among the best. Just remember, double action only means that your trigger pull will be long. The controls are incredibly simple and easy to use. It is as practical as you would imagine a Swiss gun to be. The trigger pulls at about 6 pounds, which is perfect for a serious shooter. However, as we said multiple times in this P250 review, you should definitely train with this gun. The feel of this gun is excellent too. 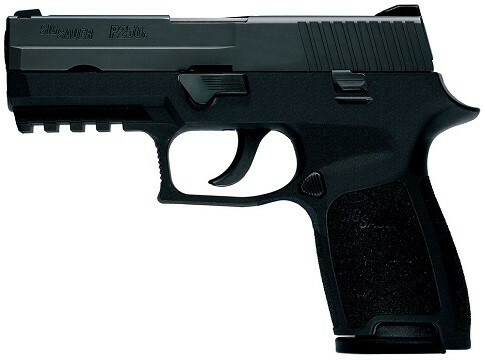 In fact, it mostly reminds us of the P225, but with a polymer frame. The grip is very ergonomic and incredibly safe and comfortable. And, remember, you can actually change the grip if it is not perfect for you. While most people in the US don’t think much of that, remember, this can also be a very good service gun. And having the option to personalize a gun you just “inherited” from a colleague with smaller hands, feels godsent. 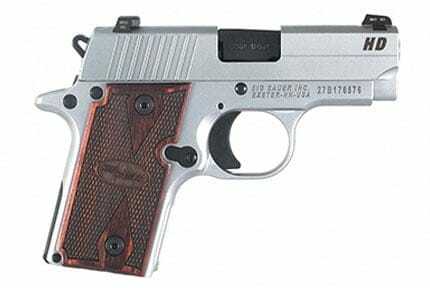 Just taking a look at this handgun tells you it is a very durable pistol that just won’t break. This can be an excellent long-term investment in self-defense. Now, some people probably know that Gen 1 of this gun had reliability issues. However, we actually see that as a good thing as SIG Sauer was never the one to ignore issues. That means that the following generations don’t have the same issues. Our P250 is a newer one, and we have so far shot about 600 bullets without a failure. When it comes to the look of this gun, there are some polarizing moments. It is blocky and less than elegant. However, it looks sturdy and, we dare say, manly. Every single bit of it just feels and looks like it is ready for combat. That even includes the trigger guard and the Picatinny rail. So, not only do you get a lot of practicality, but the look is also great. We can all imagine the Terminator using one of these. You can actually get this model for about 300 dollars on average, depending on your location. That makes it a very affordable addition to your home arsenal. However, it gets better than that; if you are willing to put in a little effort in your search, you can get one for $200 or even less. Just remember, it’s still a SIG! We know that everyone has their favorite, but we also know that SIG is one of the best. And getting yourself a SIG Sauer with a modular design for two hundred bucks is a really good opportunity. If you are looking for a gun that you want to use to defend yourself, your family, or your property, you don’t need to look any further. This gun is precise, it is comfortable, and there are no safety controls you have to think about in a crisis. In fact, you could easily train your spouse to use this gun (if they aren’t already qualified) and they would be capable of defending the property themselves. And, we should also mention that the gun is incredibly affordable for all who want it. The fact that you can get a SIG Sauer gun for 200 bucks in the States is incredible in and of itself. And, we should always mention the interchangeability of the parts. The ability to change the caliber is something we have never seen before, and it can be incredibly useful. However, if you are a Striker fired gun generation, you would do well to get some training in with this gun. And, we would recommend asking someone to teach you proper trigger control. However, the revolver brandishing bunch will be more than happy with this gun off the bat. 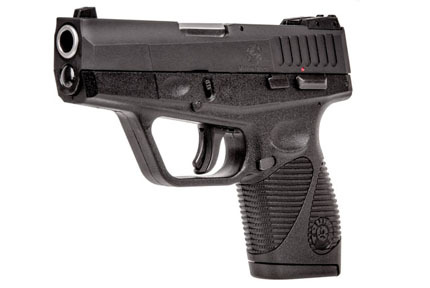 In the end, we would recommend this gun to anyone looking for an affordable, reliable, and robust home defense pistol. All in all, the Sig Sauer P250 performed very well and is a very good purchase nonetheless.